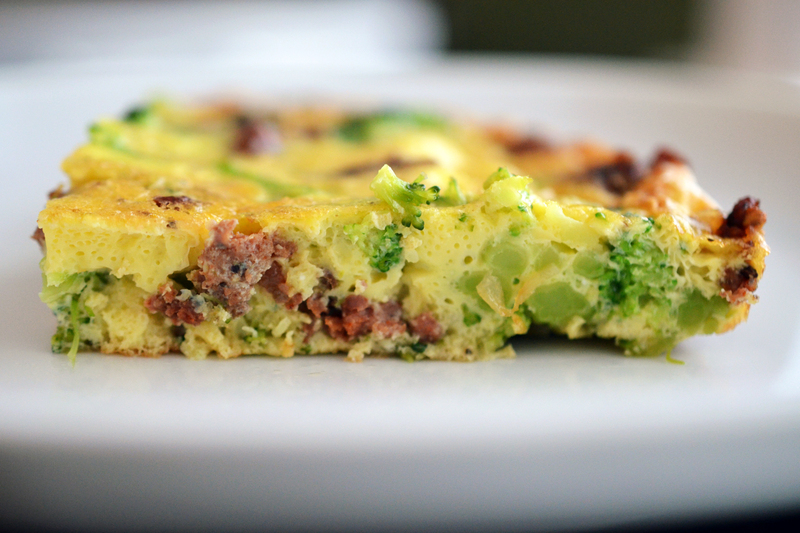 This easy paleo frittata is the perfect way to use up leftovers! 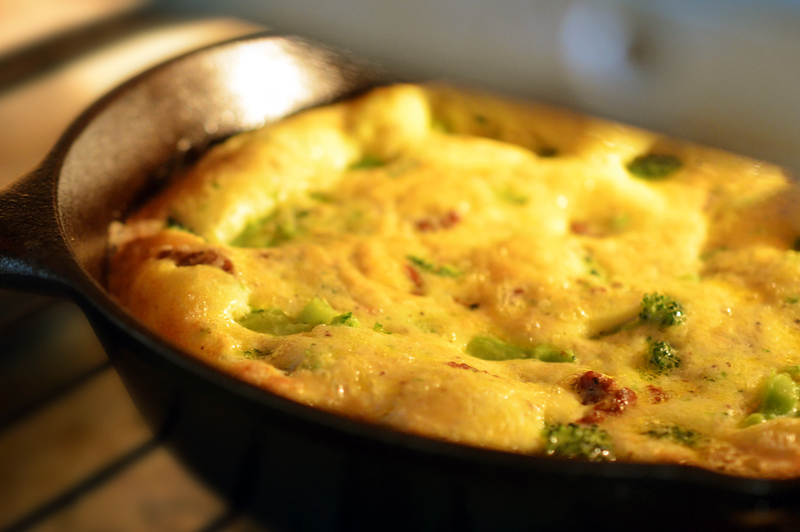 If you’re looking for a simple Whole30-friendly weeknight dinner, cook up a frittata! Leftover makeovers are my jam! 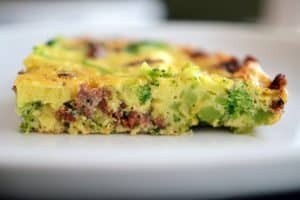 You can essentially turn any leftover meat into a Whole30-friendly frittata and supper is done! 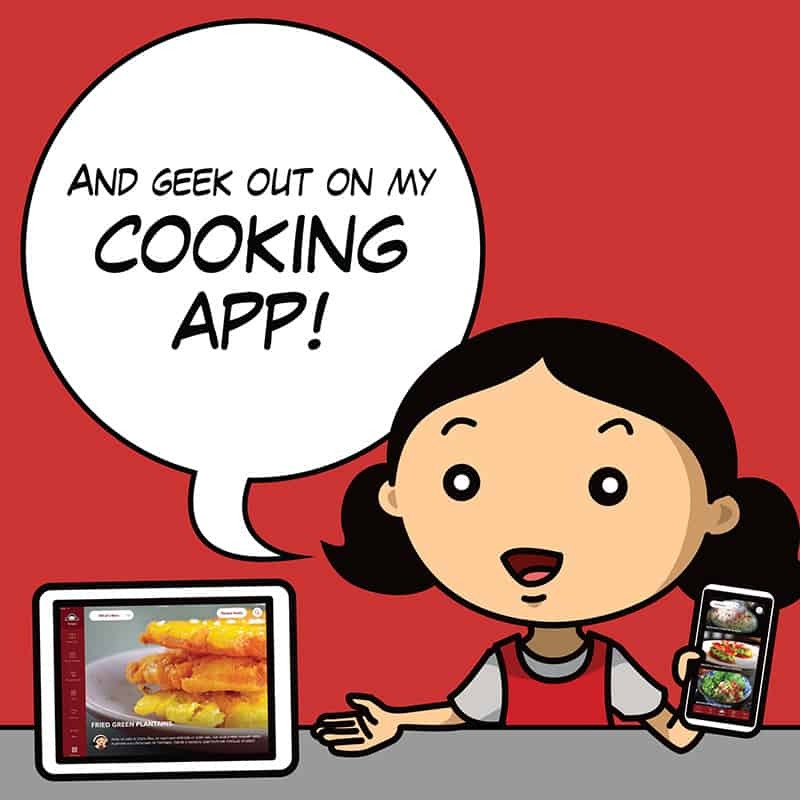 All you do is dice up the meat, chop up some veggies (frozen veggies are perfect), sauté them in an oven-safe skillet, add some eggs and dairy/coconut milk, and pop it all in the oven until it sets. You can add herbs, sautéed onion, minced garlic, whatever! You can decide how fancy you wanna be. Here’s just one example of how you can throw together a simple frittata. First, preheat the toaster oven to 350°F and heat the ghee or fat of choice in an 8-inch cast iron skillet over medium heat. Then, add whatever protein you have on hand (here, I used some leftover spicy lamb merguez sausage and onions) to the skillet and stir-fry until heated through. Meanwhile, place the frozen broccoli in a medium microwave-safe bowl, cover it with a wet paper towel and nuke it until it’s thawed. (Don’t want to use a microwave? Just toss it in some boiling water for a minute and drain.) 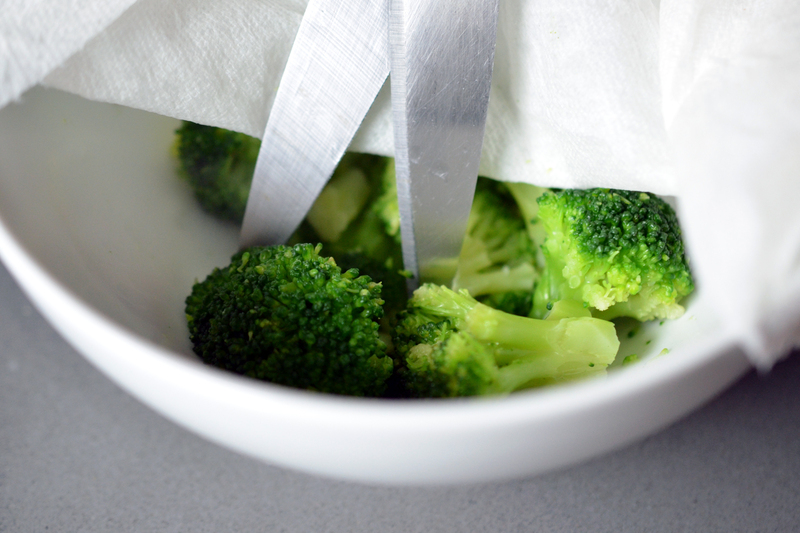 Use a pair of kitchen shears or a knife to cut the broccoli into bite-sized pieces. 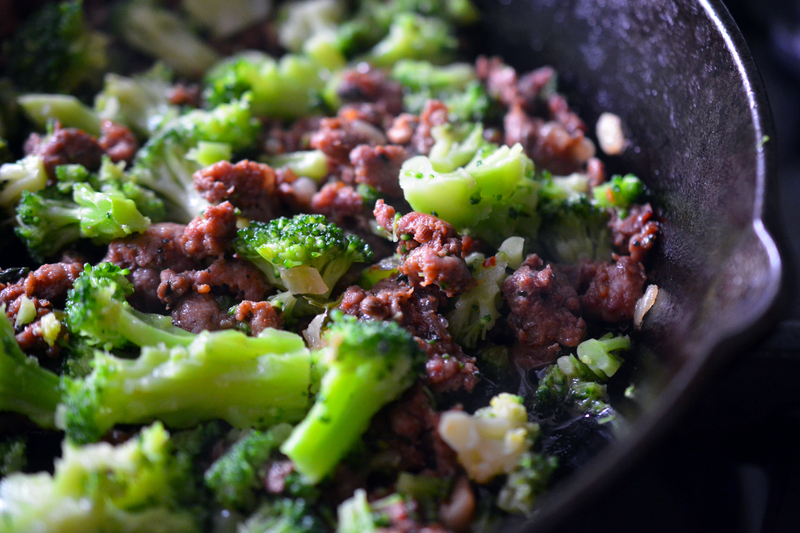 Add the broccoli to the ingredients in the pan and mix to cook thoroughly. 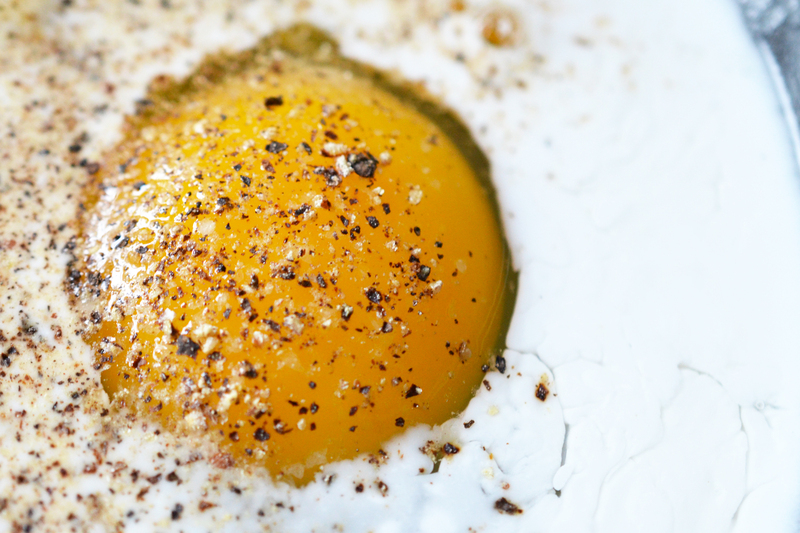 Crack the eggs into a medium bowl, and add the coconut milk, salt, and a few grinds of pepper. 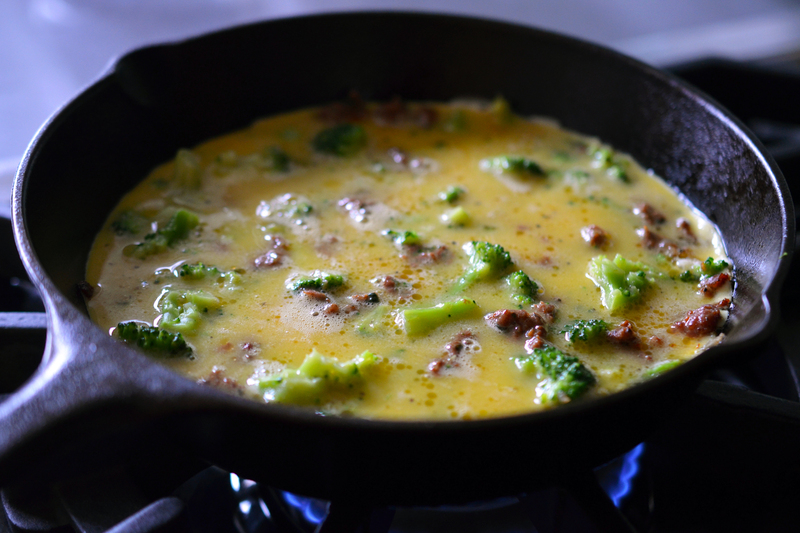 Pour the egg mixture into the skillet and cook for 3 to 5 minutes or until the bottom of the frittata is set. Place the skillet in the oven. Cook for 10 to 15 minutes, and then crank the heat up to broil for another 2 minutes or until the frittata puffs up and is cooked all the way through. 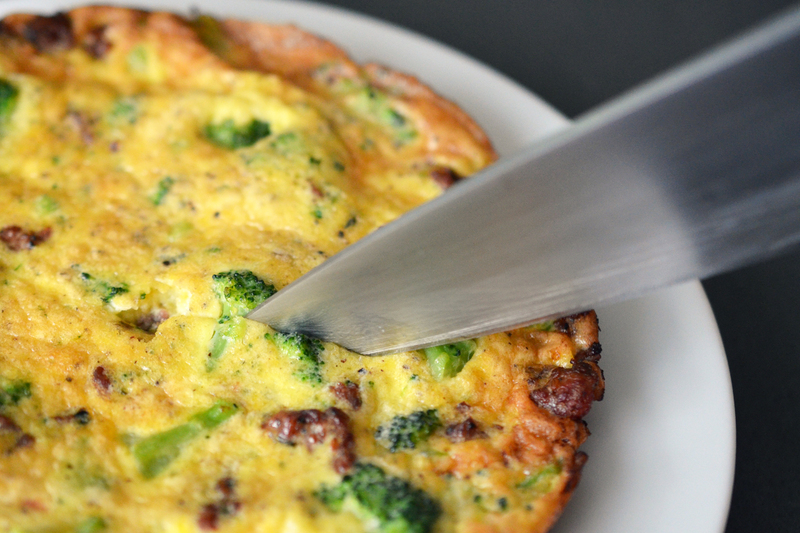 Carefully transfer the frittata to a plate, slice, and serve. The frittata is delicious cold so it’s perfect for for packed lunches. Store any leftovers in a sealed container in the fridge for up to 4 days. 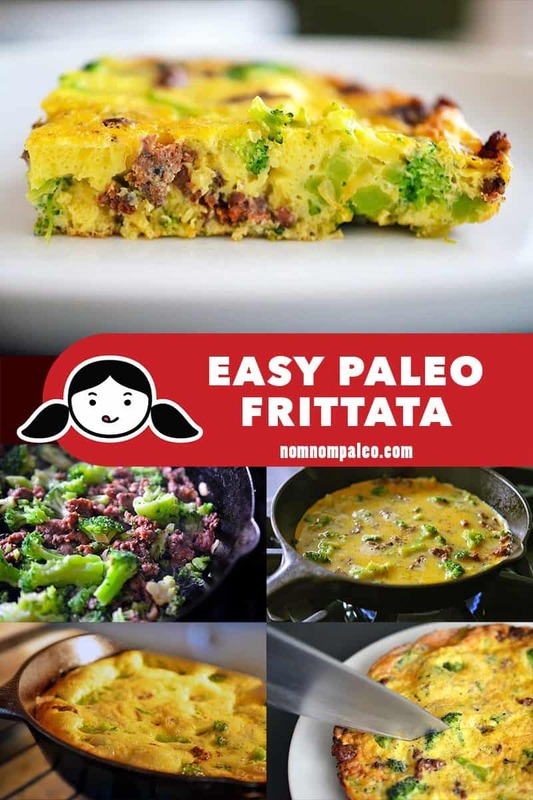 This easy paleo frittata is the perfect way to use up leftovers! If you're looking for a simple Whole30-friendly weeknight dinner, cook up a frittata! Preheat the toaster oven to 350°F and heat the ghee or fat of choice in an 8-inch cast iron skillet over medium heat. 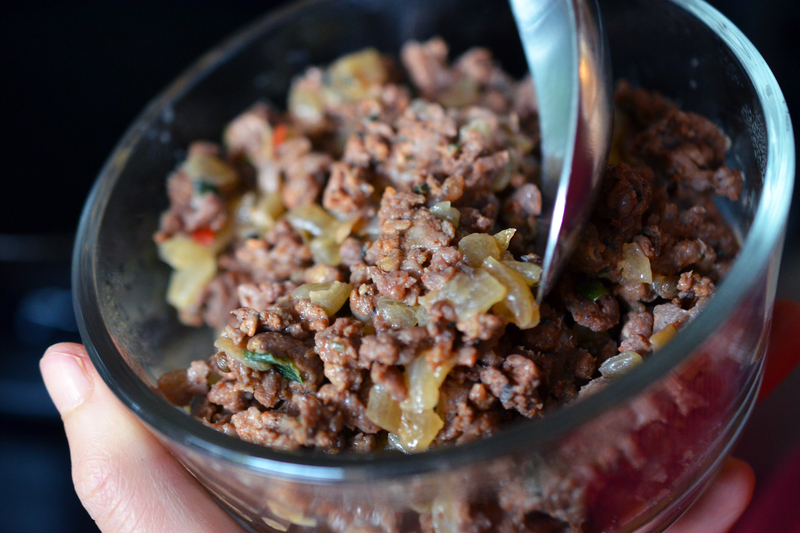 Add 1 cup of whatever leftover protein you have on hand to the skillet and stir-fry until heated through. If you've got a leftover stir-fry with veggies and meat, just use 2 cups of it in this recipe in place of the emergency protein + frozen broccoli. I make frittatas all the time with leftover Pot Sticker Stir Fry!